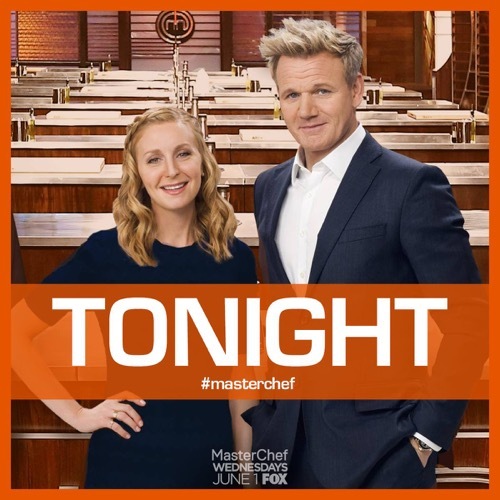 Tonight on FOX Masterchef returns with an all new Wednesday, June 1, Season 7 premiere called, “Battle for a White Apron, Part 1.” We’ve got your recap down below! On tonight’s episode, forty chefs present their signature dishes to the judges for a chance to compete for a cookbook deal and a $250,000 grand prize in Part 1 of the Season 7 premiere. On last season’s finale after week’s of fierce competition Claudia Sandoval won the season. If you missed the episode you can catch it right here. On tonight’s episode per the FOX synopsis “in the season premiere episode, 40 of the best home cooks in America travel to Los Angeles to compete in the MASTERCHEF Battle of the Apron challenge, during which they will attempt to earn a coveted white apron and move forward to compete for the MASTERCHEF title, a cookbook deal and the $250,000 grand prize. Don’t forget to join us for our live recap tonight at 8:00pm when MasterChef Season Seven on Fox airs. While you wait for the recap, let us know how you like the seven season of MasterChef. Forty of the best home cooks in America came together for an all new season of MasterChef, but like always they had to prove their worth in the Battle for a White Apron before they could be considered a serious contestant. The Battle for a White Apron was the first true test for the home cooks and it demanded that two contestants go up against each other in a specific category that would best show off a signature dish. So the first two that went were thrown in, had to fight their way out in the Battle of the Steaks. Brandi was a country girl from a small town and she had grown up cooking so she knew her way around a kitchen even she had a blindfold on. However, her main competitor was Samson who worked a mixologist and loved to blend flavors for a living so there were odds going in that would try to elevate whatever dish he ended up making. And so the only that these two could impress the judges were play to their strengths. And they had tried to do so. But Brandi’s eventual Cast Iron Seared Steak with Parmesan Crusted Tomato and Samson’s Pan Seared Steak with Roasted Parsnip Puree were not perfect. Brandi’s dish was simple and the steak was cooked to perfection yet the sides dishes could have used more work and admittedly she could have tried to have stretched herself a little bit more. While Samson on the other hand, could have pulled back some. Samson had gone for the complicated by throwing in puree mixed with chocolate however the puree could have been smoother and Ramsay would have preferred to have actually tasted the chocolate which he felt had been hidden amongst the other flavors. So Chef Ramsay and his fellow judge Christina had both good and bad things to say about each dish and they had to make the decision on simply who came out ahead. And the dish they ultimately went with was Brandi’s because they felt she had surpassed her competition in the Battle of the Steaks despite her own dish’s flaws. Yet, the Battle of the Cupcakes was an entirely different matter. The two contestants that competed in that specific battle were Andrea the college student who had grown up in a cooking household and she believed that she could bring a Latin flavor to whatever dish she cooked, but her fellow competitor Taylor had suffered a setback in the kitchen. Taylor had thought that she had organized everything perfectly so she hadn’t realized that there was a problem with her cupcakes until they were already in the oven and weren’t rising as well as they should have. So it had looked as if she was going to be written off completely. Only Taylor kept trying and did her best to preserve her dish. So her presentation was beautiful and the actual taste of her Yellow Cupcakes with Raspberry-Lemon Buttercream was delicious. 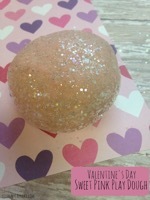 However, her fellow competitor Andrea had managed to cook her Guava Cupcakes with Cream Cheese Frosting to mixing perfection. And so the Battle of the Cupcakes hadn’t been a true battle at all – Andrea just had that one in the bag! Now the Battle of the Firehouses was in its own category. Four Firefighters came together in a cook off of signature Firehouses dishes and surprisingly the pressure was the one thing that could not faze that particular bunch. The men there were used to dealing with fires on a daily basis so they didn’t mess around. They merely entered the kitchen and quickly got to task at hand without anyone second-guessing their own cooking skills or worrying that dish won’t turn out as good as they hoped. So four men who had toughened up on the job had no problem with joking around in the kitchen as they were cooking and some had even encouraged their fellow competitors when they didn’t necessarily have to. But, while that was lovely to see in a competition, what ended up mattering more than anything was the dishes. They proved that they were good guys so they had to prove that they cook as well. And so first up was Freddie. Freddie who boasted as the oldest firefighter there had come up with a Curry Chicken dish that was stylistically pleasing yet Christina felt it could have tasted better if the curry had had a chance to set just a little longer. Though after Freddie’s dish, there was Eric’s. Eric had created Turkey Egg Rolls with Kale, Cabbage, and Carrots and Ramsay had gone on to especially love that dish. And he also complimented Eric on the way he caramelized the ground turkey. And so the following dishes had a lot to live up to. However, not all were able to do so. Manny had impressed Christina with his Chimichurri Steak with Black Beans and Plantains. Which she thought was incredibly delicious if not plated to the way she would have preferred. So in truth Manny had nothing worry about though the last firefighter had been the one that failed to launch. Joe had come up with Pan Seared Pork Chop with Swiss Chard and Potatoes and it had looked beautiful, the taste on the other hand, had been destroyed by one fatal error – Joe had accidentally overcooked his pork chop. With a pork chop dish, the one thing that matters is that the pork chop was done to perfection. So unfortunately, Joe and Freddie lost out on their chance on this season of MasterChef, but there always next year. Although speaking of Pork Chops, the final battle on tonight’s episode was funnily enough, the Battle of the Pork Chop. A professional poker player and a marketing manager had battled it out in the Battle of the Pork Chop and again the same error was made. Joe had come up with a Brandied Cherry Pork Chop with Cauliflower Puree and his Pork Chop had not been cooked evenly. Joe, it seems had not put the pork chop in the oven which would have been best though otherwise the judges liked his dish for the most part and they had seen potential in it. However, his competitor David had cooked Pork Chop with Blue Cheese Grits and the blue cheese had made the dish salty. So again there wasn’t a perfect dish because both had flaws. But in the end, the judges decided to close out tonight’s episode by giving the final apron to David whose main ingredient had at least been cooked to perfection.